In a rarity for WWE, one of the company's titles changed hands at a house show tonight. 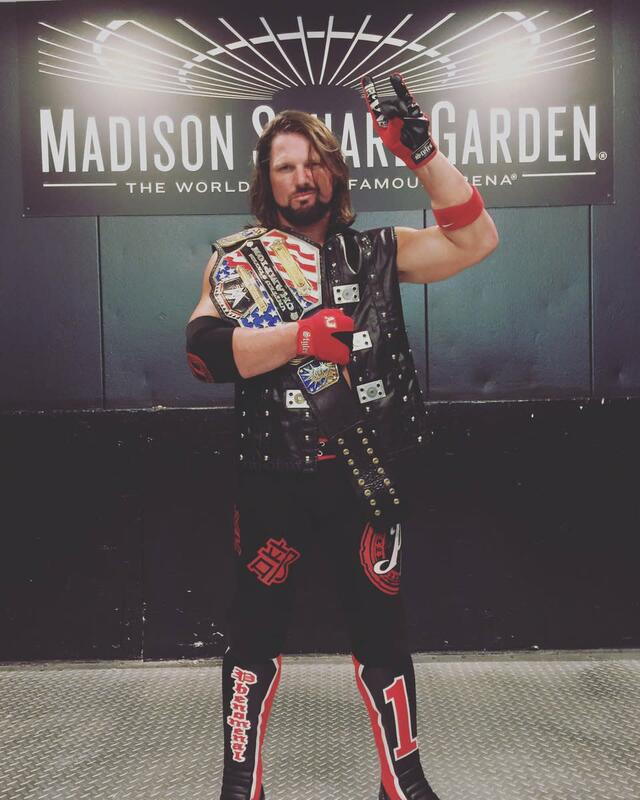 AJ Styles defeated Kevin Owens to become the new United States Champion at Madison Square Garden. WWE acknowledged the title change with posts on Twitter and an article on their website. WWE's house shows at Madison Square Garden are among the biggest non-televised events that they put on all year. Tonight's show mostly consisted of matches from the Raw roster, but Owens vs. Styles and Shinsuke Nakamura making his MSG debut against Dolph Ziggler took place as well. Styles won a battle royal in the main event of the Fourth of July edition of SmackDown to earn a title shot against Owens at Battleground. We'll see if Styles makes it to next week's SmackDown as champion and how WWE will explain the switch if he does. The last major house show title changes that WWE did were both in NXT. Nakamura regained the NXT Championship in a match against Samoa Joe in Osaka, Japan last December. Joe also defeated Finn Balor to win the NXT title for the first time at a live event in Lowell, Massachusetts in April of last year.